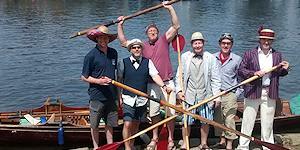 Thames skiff hire is a traditional boating holiday company based on the Thames River in London. We offer a comprehensive range of unique holidays tailored to your requirements. 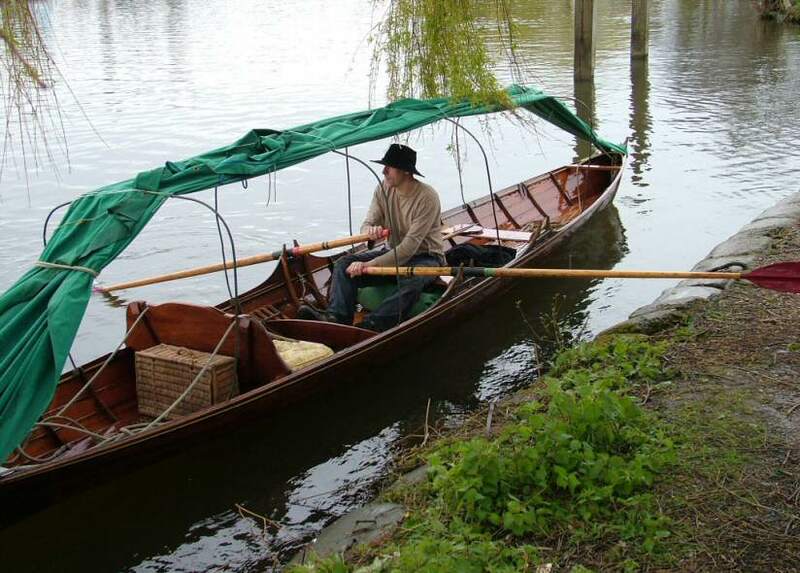 Many of our classic boats are over a hundred years old, and have been seen in Hollywood films such as Shakespeare In Love, Great Expectations, and Harry Potter and the the Goblet of Fire. This nineteenth century “activity holiday” is making a comeback. 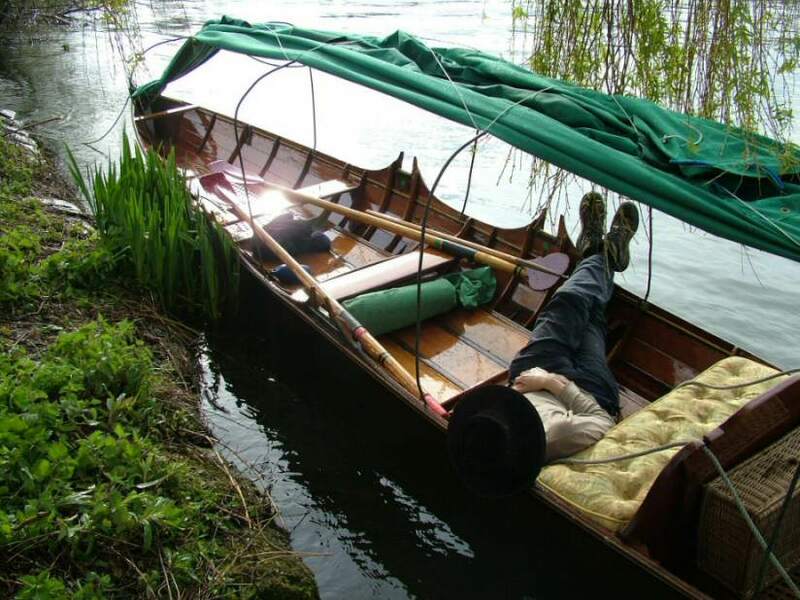 A camping skiff holiday can offer a complete escape from the everyday frustrations of the 21st century, however you may choose to make some contact with today’s riverside pubs, restaurants and occasional B&B. 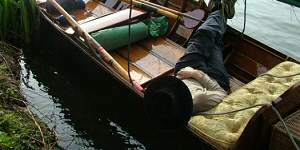 You will soon learn to handle our boats and become part of an age old boating tradition as described by Jerome K Jerome in ” Three Men in a Boat, not forgetting the dog ” 1889. 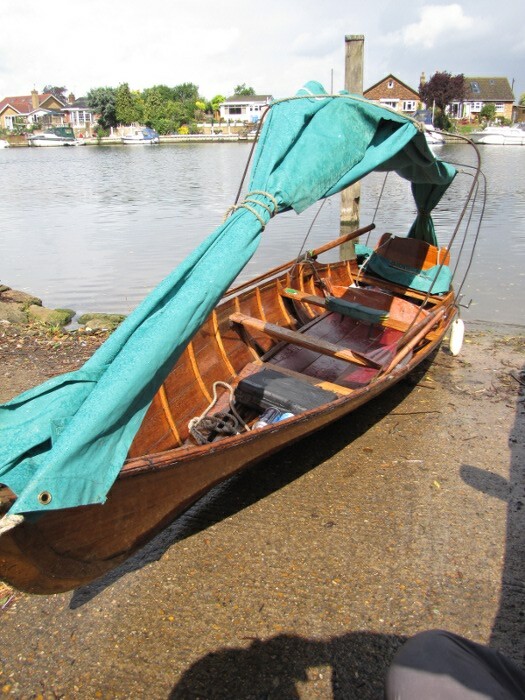 What is a Thames Skiff ? 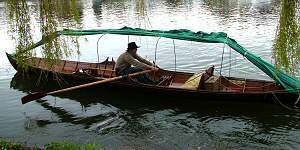 Skiffs are wooden rowing boats about 26 feet long, built for ease of handling and efficient travelling. At night a canvas cover converts the entire craft into a snug tent with room for three people to sleep aboard. 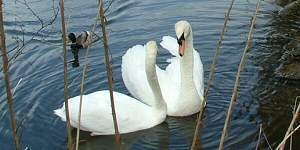 The cover can also provide weather protection during the day. You can expect to travel 12-20 miles a day. 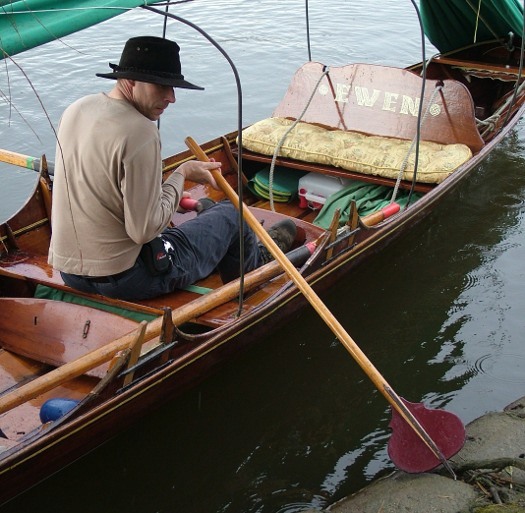 Handling the boat is quickly mastered, so you do not need to be an experienced oarsperson. 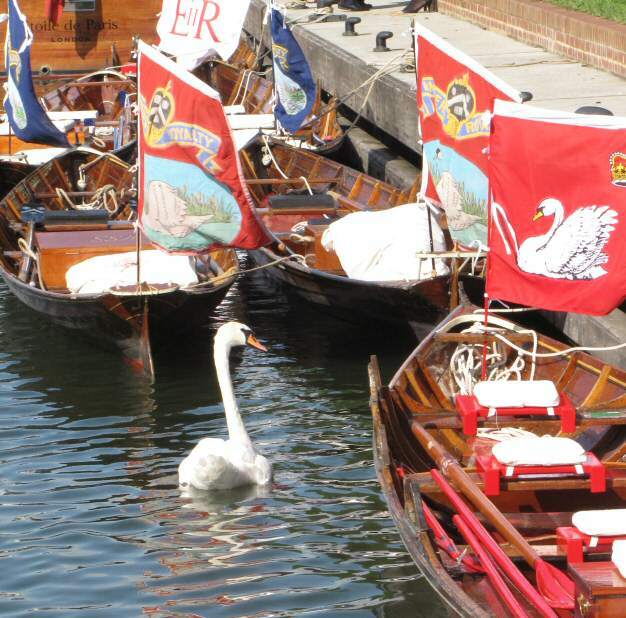 Our boats are used every year in the traditional swan marking event. 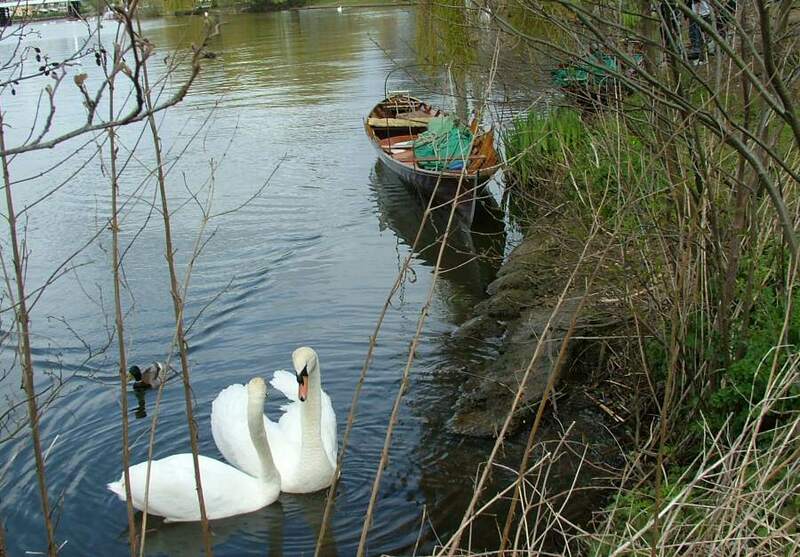 Click Here to see our boats in action. 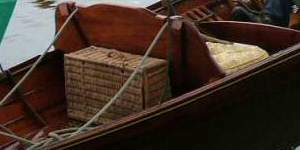 Our boats can also be seen in the latest Harry Potter film! Not sure where to start your holiday from? 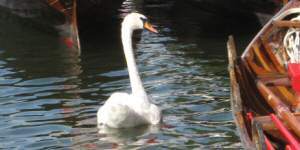 Click Here for detailed maps and more information on the sites and towns along the river. 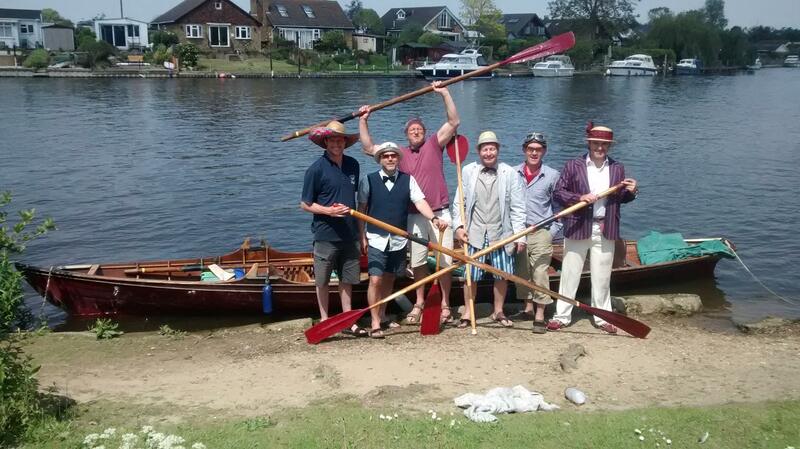 The Financial Times and Sunday Times recently ran an article on our camping skiff holidays.